We all know about the Outlander trail and James Bond’s sojourn in Glencoe, but with the arrival of the latest adaptation of Shakespeare’s Macbeth comes yet more inspiration to head for the Highlands of Scotland. 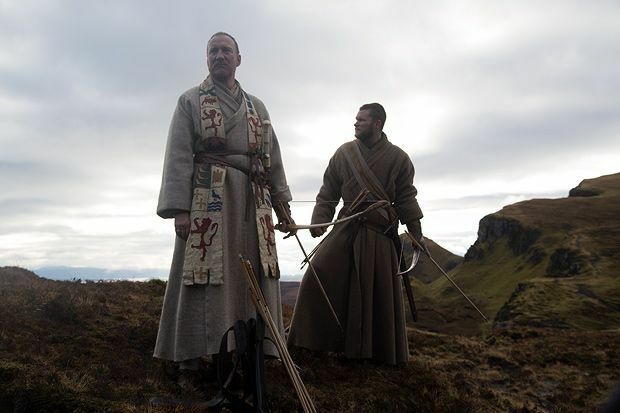 Much of the filming Macbeth, starring Michael Fassbender and Marion Cotillard, took place on Skye, where the mysterious and rugged scenery provided the perfect setting for this classic tragedy. And wherever scene-stealing scenery occupies a hit film, opportunity springs for savvy tour companies – in this case facilitated by the good folks at Wilderness Scotland. Launching its Isle of Skye guided wilderness walking break, set-jetting adventure awaits those eager for a taste of Scotland’s magical jewel. With its towering peaks, lush valleys, wave-ravaged peninsulas and Tolkien-esque rock formations, Skye is a walker’s paradise with many myths and legends to regale. ● Take a boat trip to the edge of the wild Cuillin mountains for a hike around the dramatically located Loch Coruisk. ● Visit the sites of two Clearance villages, where the peaceful scene of today contrasts with the harsh emotions felt at the time of the evictions. ● Uncover the magical Fairy Pools waterfalls in Glen Brittle. ● Take in the views from Neist Point – the most westerly point of Skye. ● Explore the charming village of Staffin on the Trotternish Peninsula, famous for its spotty houses and dinosaur footprints. ● Trail through the stark landscapes and unusual rock formations of the Quiraing where, on the big screen, Macbeth is seen receiving the title, Thane of Cawdor. So why not check the not-so-damned spot out? After all, something pretty this way comes. Visit Wilderness Scotland for more details.